I first marched for climate in 2014. Since then I've been increasingly drawn to speak out on what climate research implies for society. 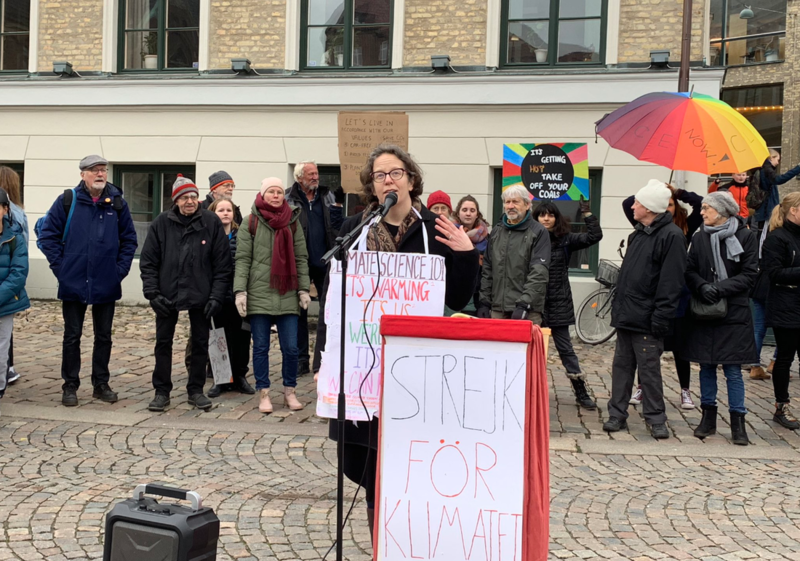 I was one of 20 scientists in Sweden who contributed to writing the text for an op-ed (debatartikel) supporting the school strike for climate on 15 March 2019 (signed by over 270 scientists and counting). 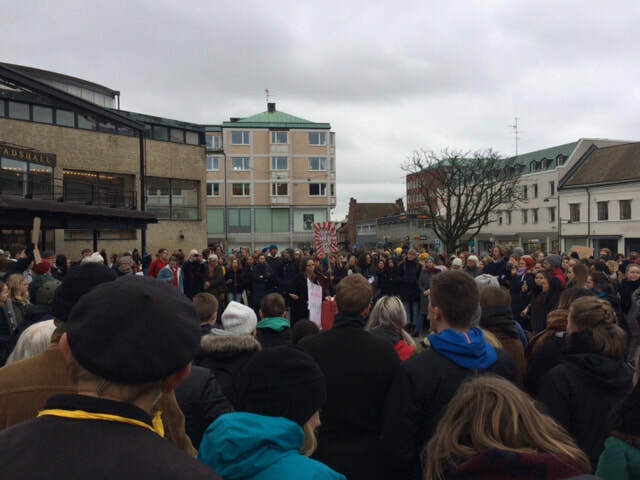 ... to several hundred on 15 March 2019 School Strike for Climate in Lund. 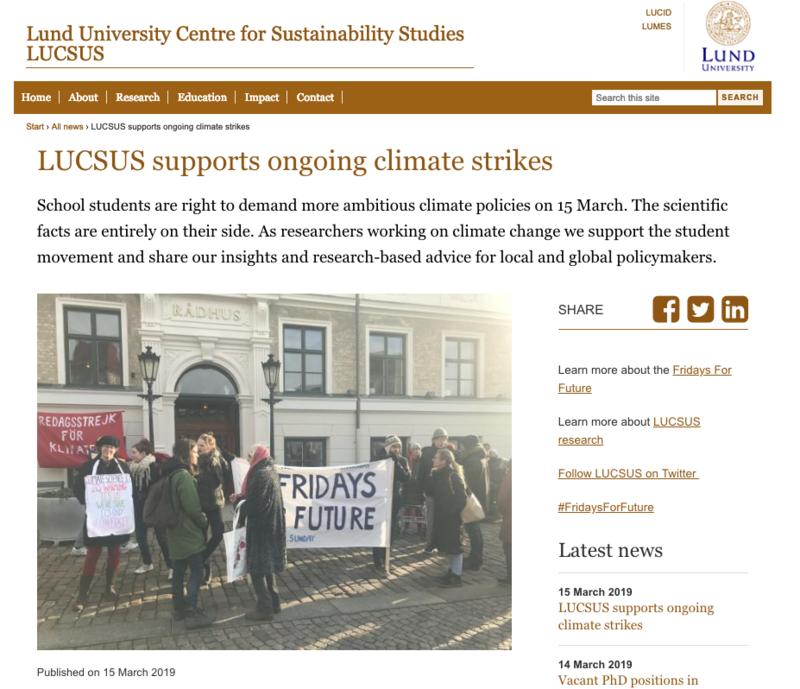 Together with colleagues from LUCSUS, we wrote a blog post summarizing what our research shows us works to inform climate action.